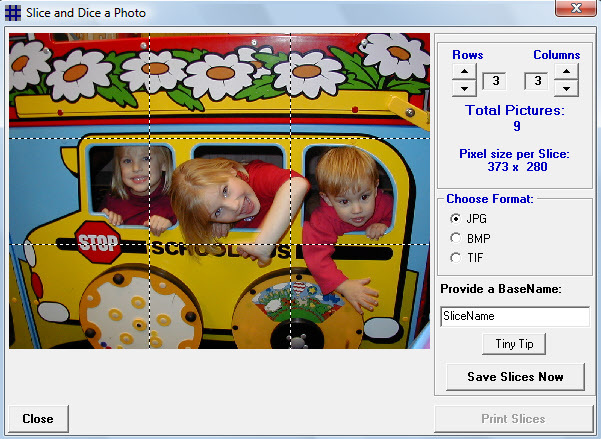 In PhotoELF's Photo Editor, you may Slice and Dice a photo into equal sections of your choosing. PhotoELF will then save these individual images to your hard drive for printing later or will automatically print each slice onto a seperate sheet of paper. 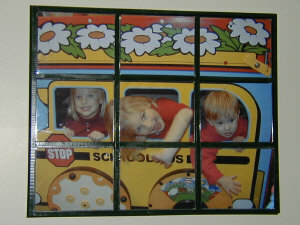 the pictures on a wall or just tape the pictures together for a huge banner or poster.